The new innovative design from BlackHawk has all the capabilities that a true Modular case should with the ability to be truly MODULAR utilizing the Velcro pouches from our many other Modular cases and bags. These DCM cases are available in many lengths that allow you to choose the size and accessories you want and need. The 65DC Homeland Security Discreet case is made to all the same high standards as the original Discreet Cases including removable 3/8 inch closed cell foam padding, full 360 degree padding, full wrap around carry handles, #9 YKK zippers with Hawk-Tabs, Detachable shoulder strap, and HawkTex shoulder pad. • External zipper pocket is lined with a bed of hook & loop to attach any hook & loop pouches. 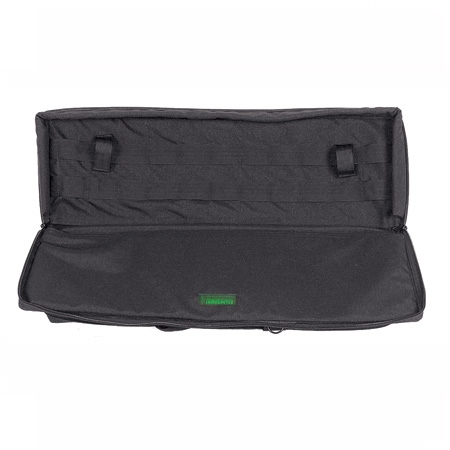 The outside zippered pocket is lined with a bed of Velcro to attach any BlackHawk Velcro pouch. This is a great feature so you can carry the mags of your choice, scopes, pistols, or any accessories you choose. Just Velcro the pouch on and off. See modular pouches. 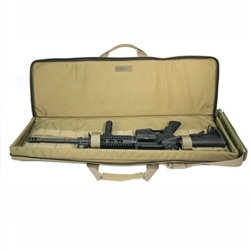 The kit includes a specially designed Triple Mag Velcro pouch that will fit 6 M-16 mags, 2 M-14 mags, 6 MP-5 9mm mags, hand held radios, 3 g-36 mags, or 3 AK-47 mags, etc, etc. This is the same design pouch as the Omega Tactical Vest mag pouches with adjustable lids. 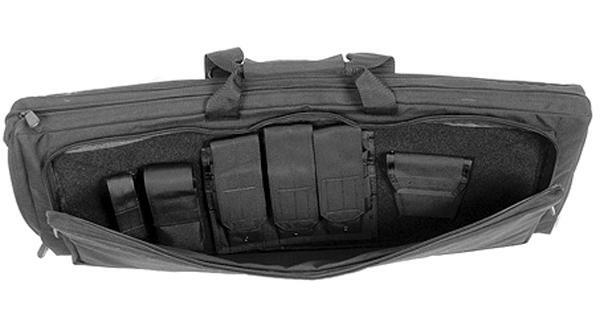 NOTE: These Velcro pouches can also be used through out many modular Velcro cases from BlackHawk. 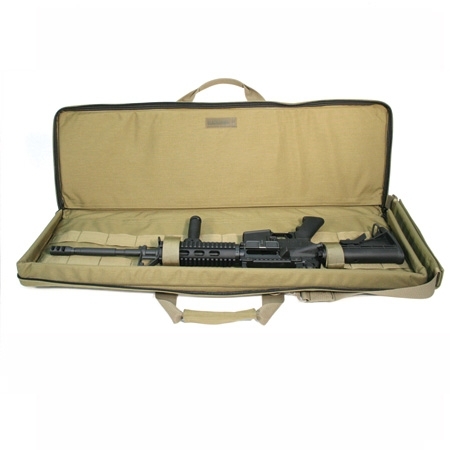 (Attache Case, Modular Range bags, PMG Gear Bag, etc) Excellent versatility and capability to adapt to your choice of weapons. Just choose the length that fits the majority of your collection and you have one case that does it all!